COLUMBUS, OH, November 14, 2011 – Milenthal-DelGrosso, formerly The Milenthal Group, received a platinum eHealthcare Leadership Award from Strategic Health Care Communications for best integrated campaign for an HMO/PPO/Other Insurer. The winning campaign – named “Get Your Well On” – was developed in summer of 2010 for the Ohio Association of Health Plans on behalf of the organization’s Medicaid care coordination plan members. Over 1,200 entries were submitted to Strategic Health Care Communications for consideration of this year’s eHealthcare Leadership Awards. Milenthal-DelGrosso’s “Get Your Well On” Campaign won platinum honors for an integrated campaign. The campaign focused on showing the value of Medicaid care coordination in Ohio, while also promoting to Medicaid recipients the importance of living a healthy lifestyle and forging a relationship between doctor and patient. Elements of the campaign included website development (www.ohiohealthcarehome.com), grassroots, collateral, “real stories” videos, online advertising and event marketing. 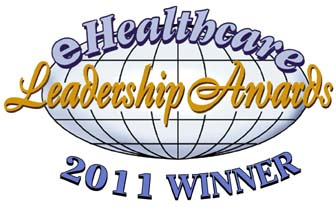 The eHealthcare Leader Awards were held on November 9, 2011 in Orlando, Florida, and are organized by the national healthcare association, Strategic Health Care Communications. The awards are meant to honor excellence in health care website design, online marketing and integrated campaigns. Other collaborators included The Creative Good, Solutions by Web and Planetary Media. Milenthal-DelGrosso, LLC is a Columbus, Ohio based content marketing firm focused on a philosophy called Community Engagement, which recognizes that every brand is at the center of its own unique community. Milenthal-DelGrosso develops and executes content marketing programs aimed at building, nurturing and mobilizing our clients’ communities. The Ohio Association of Health Plans (OAHP) represents 20 member health plans providing health insurance coverage to more than 7.5 million Ohioans. Ohio’s health plans include commercial insurers, Medicaid Care Coordination Plans and Medicare Advantage Plans. As the statewide trade association for the health insurance industry, the OAHP is a leading organization that actively promotes and advocates for quality health care benefits for all consumers in Ohio. Serving the industry since 1984, Strategic Health Care Communications, a wholly-owned division of Health Care Communications, provides information on business development, marketing, and Internet strategies. The company’s products and services include print publications, special reports, conferences, evaluations, and consulting services.